Apple Cider Vinegar has been known for centuries as a homeopathic remedy and something that should be a regular part of our diets. We preserve the integrity of the beneficial probiotics that are formed during the double fermentation process. This is often called The Mother and can be seen as it settles on the bottom of each bottle. Be sure to give the container a good shake before using to distribute it. 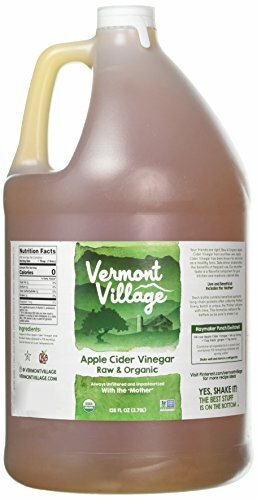 There are hundreds of uses for this probiotic rich vinegar, follow the links below for some unique ones.